Plot: Opposites may attract, but putting them together can result in chemical burns, electric shocks, and explosions. Enter Hachiman Hikigaya, a pessimistic high school student with no friends, no interest in making any, and the firm belief that everyone else’s cherished high school experiences are either delusions or outright lies. Hachiman finds himself coerced by his well-meaning student advisor into joining the one-member Service Club. There he encounters club founder Yukino Yukinoshita, a smart, attractive, walking superiority complex who looks down on the entire student body. These two negative personalities are quick to attract Yui Yuigahama, who’s cute, bright, cheerful, and needs the Service Club’s help to… bake cookies? Is this a recipe for romance or the precursor for a nuclear meltdown? Will there be cookies, nookie, or a reason for everyone to play hooky? 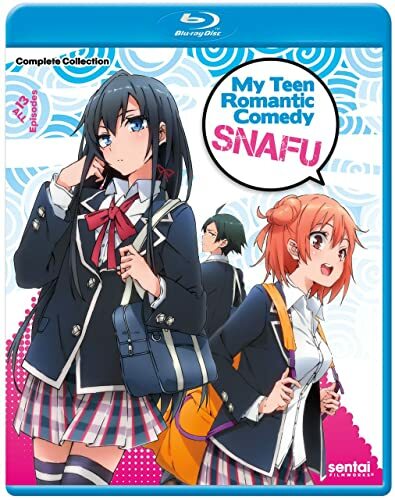 My Teen Romantic Comedy SNAFU – Season 1 has been released onto DVD and Blu-ray by Animatsu Entertainment in the UK and the disc contents are exactly the same as this US release. 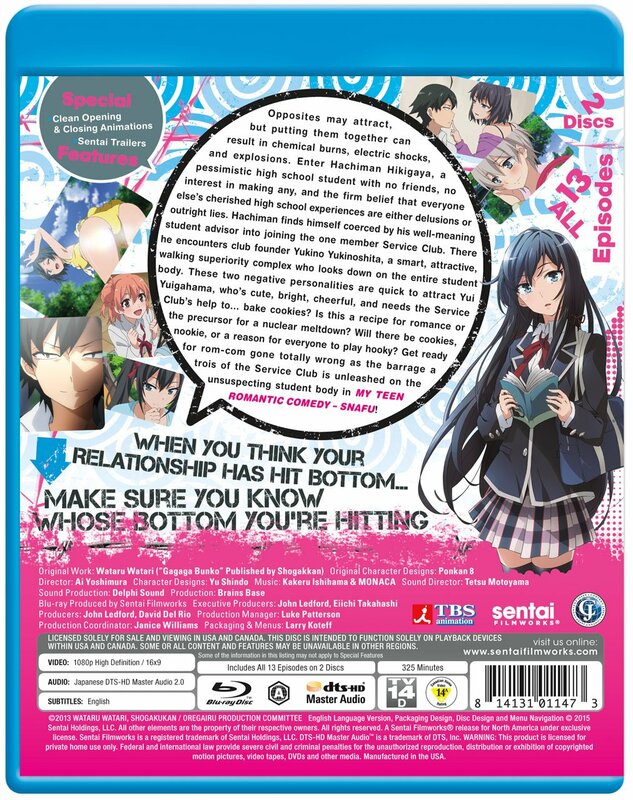 You can also read our throughts on My Teen Romantic Comedy SNAFU – Season 1 in our review of the Blu-ray release.